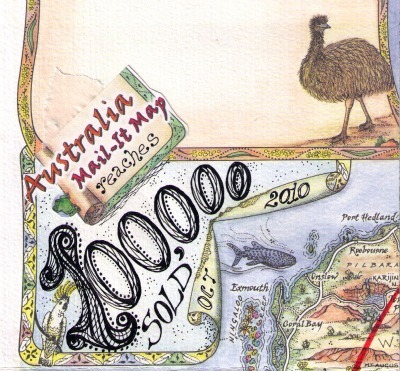 we’ve published and sold 100,000 Mail-It Maps. What was your *highlight* for October? This entry was posted in Our Year at a Glance and tagged 2010, Journey_Jottings_News, mail_it_map, year_at_a_glance by Linda. Bookmark the permalink. Great job, Linda! It doesn’t surprise me, your maps are True Blue. My highlight of October 2010 was my trip to Australia:) Visited Adelaide, Kangaroo Island and the wonderful Outback in New South Wales.